Pakistan Tehreek-i-Insaf (PTI) chief Imran Khan, in a press conference alongside Mashal Khan's father Tuesday, issued a strongly worded condemnation of the 23-year-old's lynching on what has so far proven to be a baseless accusation. "It has become clear during the investigation that Mashal never committed blasphemy. He was framed in a conspiracy and murdered," Imran Khan said. "As a father, I can understand what Iqbal Khan [Mashal's father] is going through. This was a cruel deed and they used the blasphemy law as an excuse." "I want to assure his parents that I will ensure justice for his death," Imran Khan said. "Whoever planned his murder and whoever participated in it will be punished and made an example of for future generations," the PTI chief said. "Even if the culprits are found to be from the PTI, they will be punished. 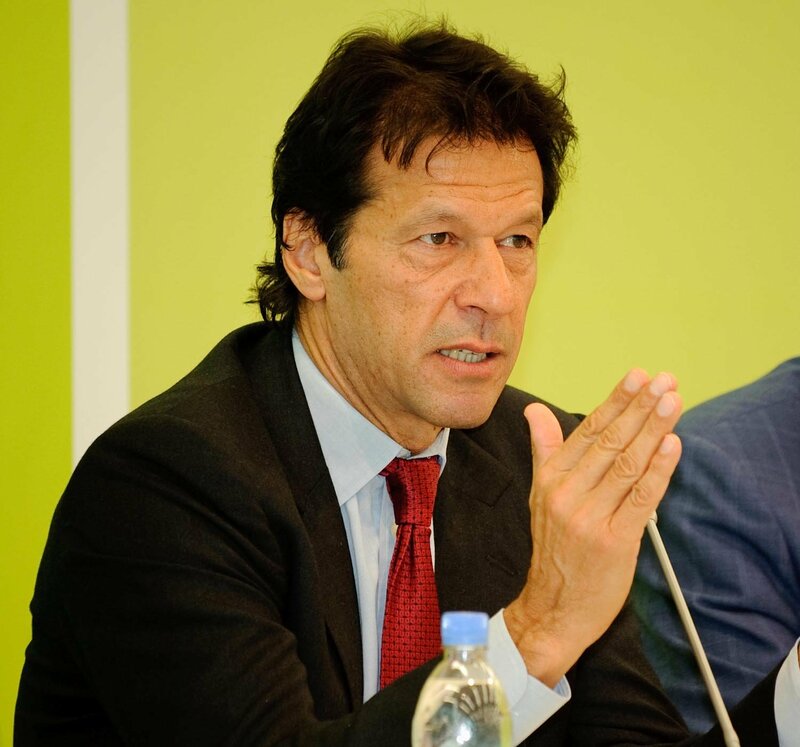 We will not discriminate along party lines in pursuing this case," Imran Khan said. "The entire country saw [what they did]. Even animals don't behave this way," he added. "We will take this as a lesson and make sure no one ever misuses the blasphemy law again to murder people again," he added. On April 13, Abdul Wali Khan University, Mardan student Mashal Khan, was shot and beaten to death by a violent mob on university premises. The mob had also wanted to burn his body before police intervened, a senior police official had said. He had been accused of blasphemy by fellow students. Another student, Abdullah, was beaten bloody before police managed to rescue him from his attackers. An eyewitness said he was accused of belonging to the Ahmadi faith and forced to recite verses from the Holy Quran, then beaten savagely even though he repeatedly denied the accusation. After the incident, the university had said it would investigate three students, including Mashal and Abdullah, for alleged blasphemous activities and ordered them rusticated and banned from the premises of all campuses of the university. The notification, dated April 13, however did not mention any details of the incident or a condemnation of the student's killing, even though the university's provost, Fayyaz Ali Shah, said it had been issued after the lynching. Khyber Pakhtun­khwa Chief Minister Pervez Khattak later told the KP assembly that no evidence had been found to suggest that Mashal Khan had committed blasphemy. "The mobile phone record of the victim has been checked by the police but there was nothing against Islam," he told the province's lawmakers. “Since the occurrence of the incident, I have been in contact with the inspector general of police; so far, no evidence has emerged to show that blasphemy was committed by the victim,” he said, adding that such brutality would not be tolerated. A judicial inquiry was ordered into the case. The Supreme Court of Pakistan has also taken notice of the incident.